If you own a Pontiac, you own a potential collectors’ item. While GM may have discontinued producing Pontiacs in 2010, John’s Automotive Care in San Diego continues to offer outstanding service and repair on every model. That’s because John’s Automotive Care has been in the auto repair business since 1998. In fact, John has been an auto mechanic since he was 15 back when Pontiac cars were all the rage. So whether you’re driving a souped up Pontiac GTO or a Pontiac Grand Prix, you can rest assured that the John’s Automotive Care team will take good care of it. Our team of ASE- Certified auto mechanics know where to find the parts you need and how to install them correctly. After all, John’s Automotive Care in San Diego has a reputation for being one of the best auto repair shops in the country, and it’s a reputation we want to protect. “First time using John's Automotive. My car broke down on a Sunday night and AAA suggested we tow the vehicle to John's for servicing. I had to leave my keys and a note in the overnight drop box and was a bit nervous about leaving my car there at a place I'd never used before. Thankfully, John's called first thing in the morning and assured me they were on the job. Within a few hours they had diagnosed the problem and gave me an estimate. They called me later that day when the car was ready and were even able to save me a good amount of money off the original estimate. This seems like a very well run and trustworthy place to take your car for repairs. And everybody I spoke with was very nice and professional. I will certainly use John's Automotive again.” -- Andy M.
Call John’s Automotive Care today , if you have specific questions about your Pontiac or would like to schedule an appointment. Our auto repair shop is located at 6267 Riverdale Street in San Diego CA 92120. 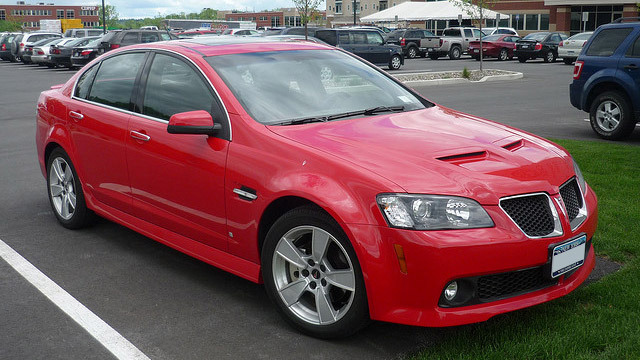 We look forward to securing the longevity, driveability, and safety of your beloved Pontiac.